There. I said it. So this post is bound to be disjointed. Sorry. I is for iPads (and other technology). When my big guys were a lot younger, I was pretty big into limiting screen time and pretty phobic about them learning from a computer. I wasn't quite so worried about the occasional DVD, so we'd watch Magic School Bus, or some of the amazing Schlessinger videos from the library. 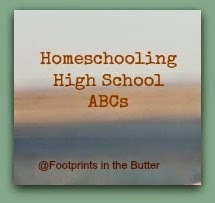 Fast forward a decade, and my approach to technology in homeschool is dramatically different. I welcome it. Technology means some amazing opportunities for high school learning. I'm going to talk about a few specifics that my teens are using, but this isn't meant just as a recommended resource list. It is intended to help you think about how tech can be used. First, there is the fairly low-tech side of things. We recently started using Old Western Culture from Roman Roads Media. This is merely a set of DVDs and a study guide. We are able to watch a fabulous lecture by Wes Callihan, then the kids answer questions and read another big chunk of classic literature (The Iliad, at the moment), and watch another DVD lecture. This is an approach I would have approved of a decade ago too. Using the DVD player to bring an expert into my home to guest lecture? No problem. This works for all kinds of subjects, and most people seem to own a DVD player and a television. A similar approach would be to do basically the same thing, only downloading the video, or watching it online. The nice thing about that, is the ability to pull out a Kindle Fire or an iPad and view it there. That is how we've used Visual Latin, for instance. A step up from that would be a course like Thinkwell Calculus, which Connor is taking right now. He is able to watch lectures online, and then work through problems, sample problems, and even tests, all within the course. He gets a expert instructor, and he gets the hands-on work. We've just started with Homeschool Piano. That involves watching video lessons and practicing away from the internet. 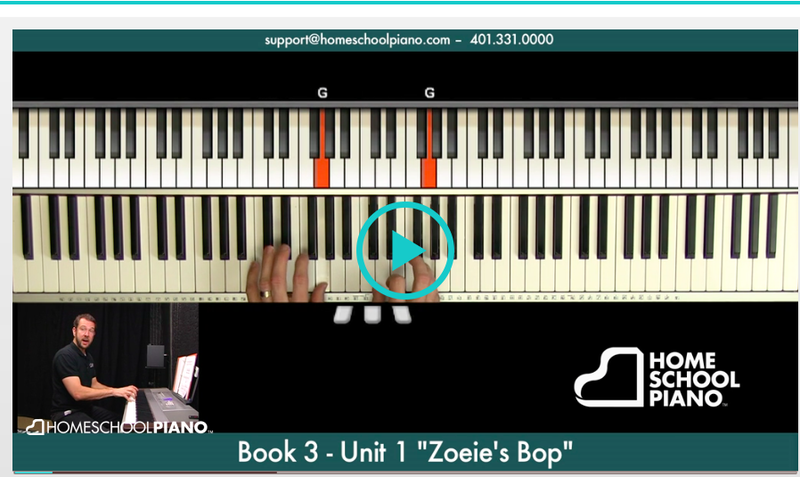 The above photo shows a still from the lesson -- Willie in the bottom corner, explaining something, the middle keyboard shows his fingers in action, and the top "virtual" keyboard highlights and names the notes he is playing. 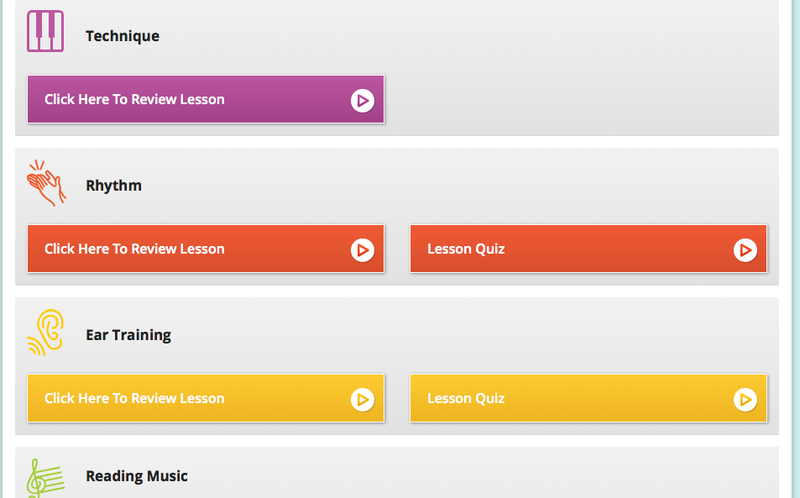 In the below image, the first column of buttons takes you to the amazing video lessons. The second column of buttons takes you to quizzes. Another low-tech approach is to obtain audio lectures and just listen to those. We did that, using a The Modern Scholar course on music appreciation that we got through Audible. Put that onto an iPod, and we could listen to a lecture on our drive to Scouts each week. Our library is a great source for Modern Scholars courses, and they cover a lot of ground. 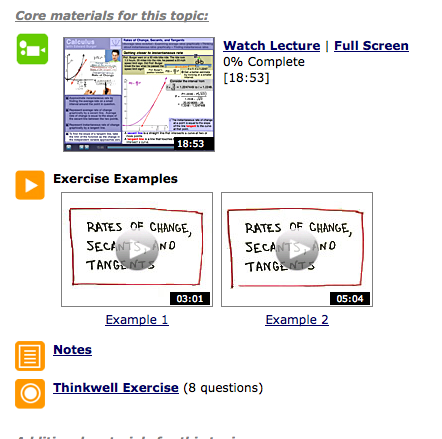 The Great Courses is another fantastic resource for that -- and also for video courses, and downloadable ones too. An online course is another option. We are not currently doing any of those, but Connor did take an online Greek course one semester (and we still keep hoping they'll have enough interest to offer semester 2!) That involved going into a weekly classroom, run through some of the various virtual meeting programs, where the teacher would present information in real time, the students can answer via chat or mic, they interact directly with the instructor and each other, etc. There is homework to do between class sessions, and it can be a wonderful experience. Then there are apps. Whether it is a scientific calculator, astronomy tools that show you what is visible in the sky in real time, math drill, vocabulary study, a bird guide... there is really something for everyone. The other big thing we do that is tech-driven involves the Kindle Fire. You've probably seen advertising about the Whispersync capability, where you can listen to the audible audiobook for a chapter, and it will know where you left off when you open your Kindle ebook to read the next two chapters. Well, that also works with newer (not the first version) Kindle Fires for "immersion" reading. You have the ebook open, and you can listen to the professional Audible narration, and the words are highlighted in the ebook as they are read. This changed the world for William, who is severely dyslexic. We use that a lot, for all kinds of books. William can read along, and not lose his place if he is momentarily distracted. It opens up books that are far longer than he'd have the stamina to read on his own. And it has hugely improved his reading abilities. Like I said, this is just a quick overview of how I use tech in non-tech courses. I'm sure I've missed something obvious, and there are LOTS of other possibilities for specific courses. This is just a smattering of some things we are using -- or that we have used -- in our home for high school. My next post? I'm clueless. I'll start thinking on Monday. J is for Jittery, J is for Just Do It... I don't know. Marcy is posting a word study, and this week is a complete MUST READ -- I is for Intercession. It's a good one. There are a few dozen other amazing I posts linked up too. Like I is for Images. That is another must read. Go check some out! Disclaimer: There are some affiliate links above, specifically for the Compass Classroom materials. I only mention products we have used and loved. Feel free to do a Google Search to avoid my affiliate link if you would prefer. Any affiliate income I receive goes into school stuff for my kids, though I think I have bought groceries with some when we were pretty desperate. Loved seeing all the different ways it has really blessed your children - and helped them learn. Homeschool at my house would be lacking some of the amazing, cool stuff you do though... the art, for instance. I always look at everyone else and think that though... "Can I come homeschool at your house?"